This guide will outline how to connect your Abacus account to your Deputy account. To connect your Abacus account, we recommend having Abacus and Deputy both open as tabs in your browser. First, copy your Deputy URL. This can be found in the address bar in our browser. Now open Abacus. Navigate to Add-Ons then select Deputy. Here, paste your Deputy URL in. Now, in the window that contains Deputy, add "/exec/devapp/oauth_clients" to the end of your URL in the URL bar at the top of your browser. 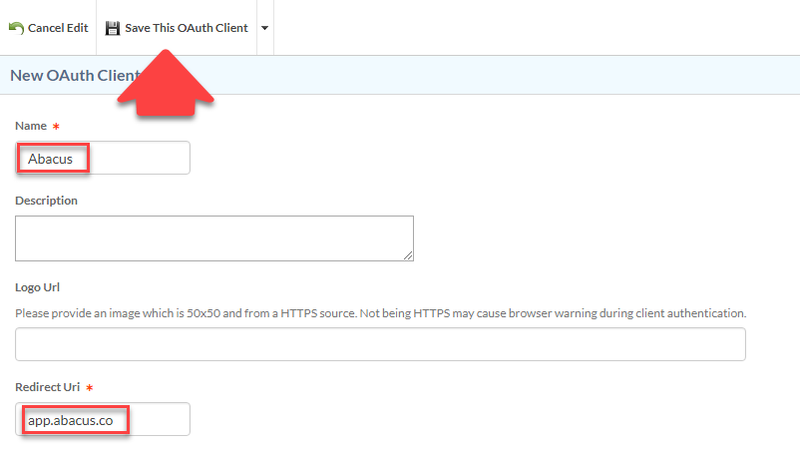 For example, if your URL is https://test.au.deputy.com, it should look like this: "https://test.au.deputy.com/exec/devapp/oauth_clients". On the page that appears, click "New OAuth Client". In the name field, enter "Abacus", and in the Redirect URL, enter "app.abacus.co". After this is done, click "Save This OAuth Client". On the next screen that appears, click "Get An Access Token". A pop-up will appear. Highlight and copy the Access Token that appears. In Abacus, paste the access token in the Access Token field. Click Save when you have done this. Still, within Abacus, select your company from the drop-down list. Then under the section labeled Push All Staff to Deputy, click Start. This will add your employees to Deputy, and will send them an invitation to join. In Abacus, under Push Sales Data to Deputy, select the date range of the sales data you would like to push to Deputy. Please note that the period must not exceed one month (31 days). If you have more sales data to push, repeat the above step until you have pushed all the necessary data. To continue to push sales data, under Push Sales Data to Deputy, ensure that the toggle is switched to ON. If you have not pushed sales data to Deputy in the past, connecting the account will push data from the past 7 days. If you include the last 7 days in your initial manual push, this should not duplicate the data. Please note that this integration will push sales data at every subsequent hour (at 12:59pm, 1:59pm, 2:59pm and so on). If you turn the Sales Data Push toggle to OFF, and then turn it back on at a later stage, it will sync the data from when it was turned OFF to when it was turned back ON. This means that it will sync the data in between toggles, leaving no gaps. 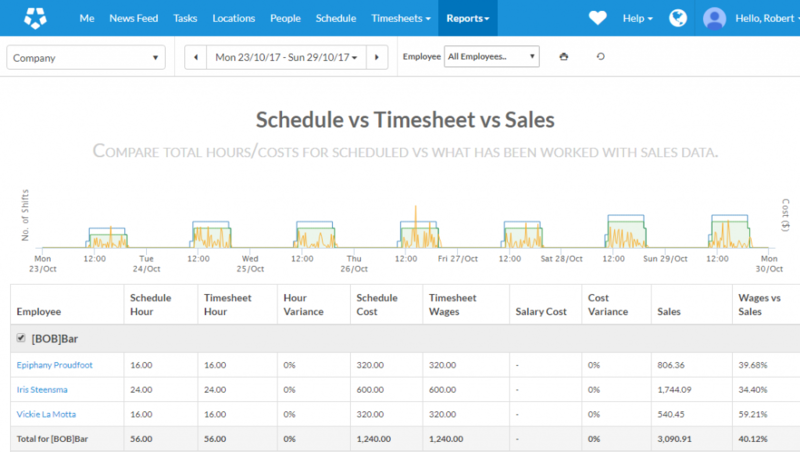 You will be able to see your sales activity from Abacus in Deputy's Schedule vs Timesheet vs Sales report. Simply click View Full Report to retrieve these stats.